Finally I have ready for you part 2 of the GlitterDaze Love is in the Air Collection. 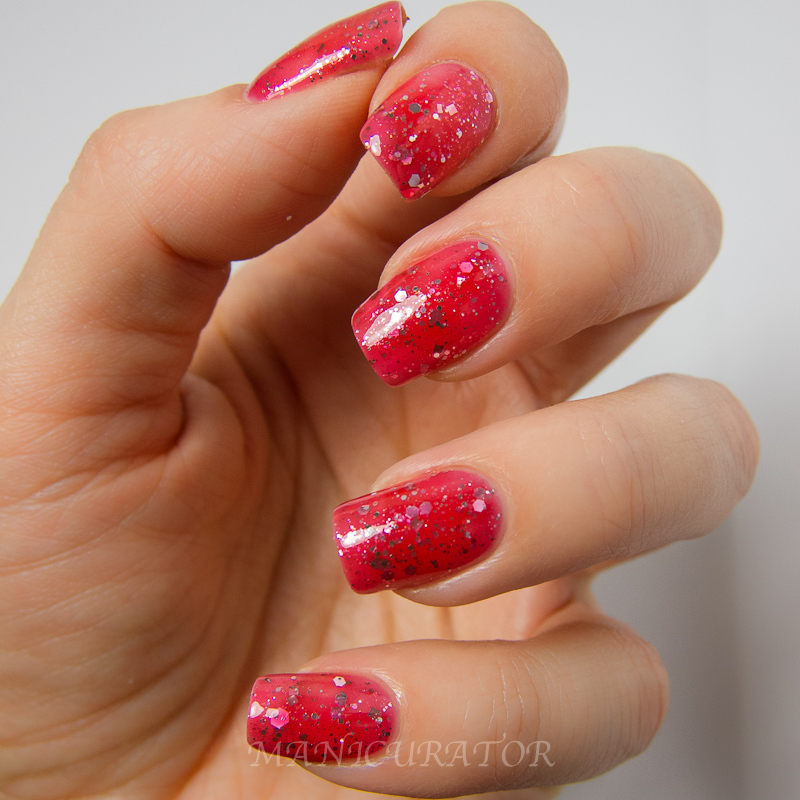 Check out the four gorgeous glitter toppers from this collection here. 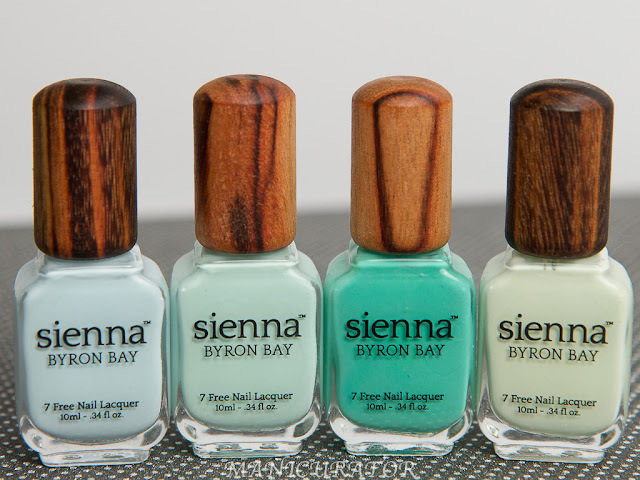 There are 9 new shades in this set, I'm showing you 5 in this post. I did indeed use 3 coats here. Went on easily, no formula or application issues. Surprisingly, no fishing for glitter either. 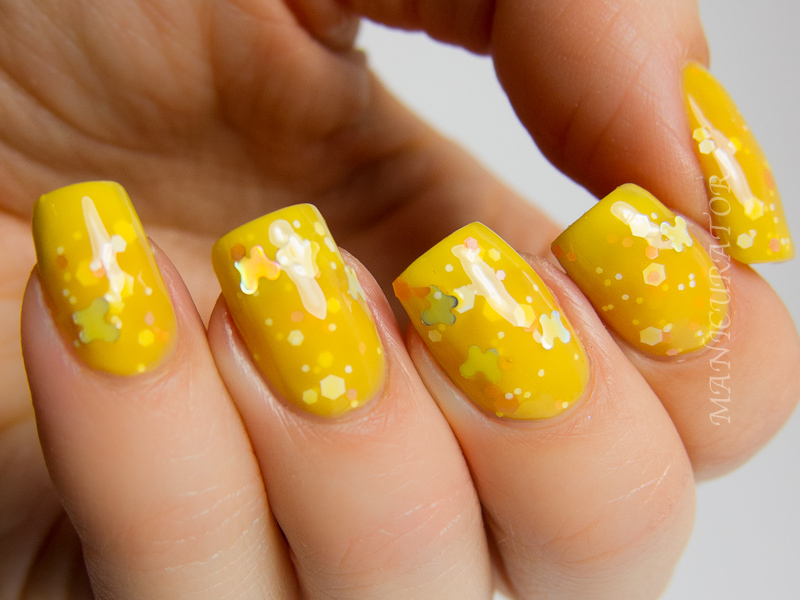 This looks so cool on the nail. I didn't expect to like those big old black spots..but it works!! Love this pink base. From their description: Secret admirers are synonymous with flattery and pleasant surprises; you never know what to expect. My Secret Admirer channels the excitement that admirers bring along. 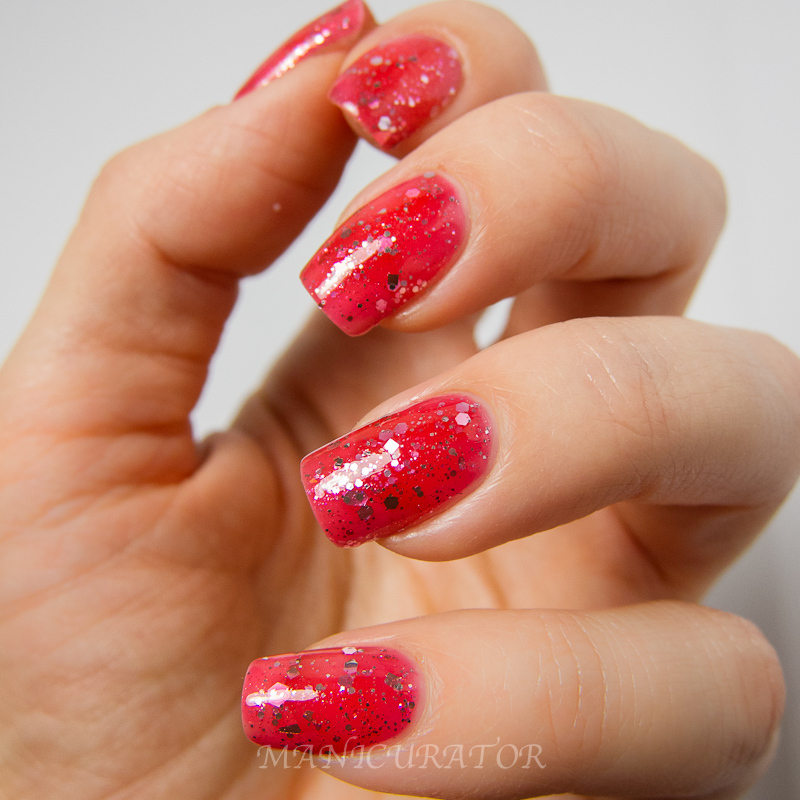 A burst of red, and fuchsia glitters in all shapes and sizes shine through a pale pink base. 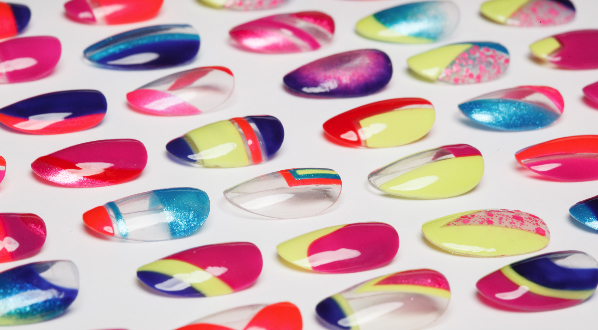 Three even coats of this nail polish will achieve opacity. Again 3 coats. So gorgeous this one is, just my style. Easy application, great formula. From their shop description: Butterflies in our stomachs is something we’ve all felt at some point for a certain special someone; it is a signature of falling head over heels in love. 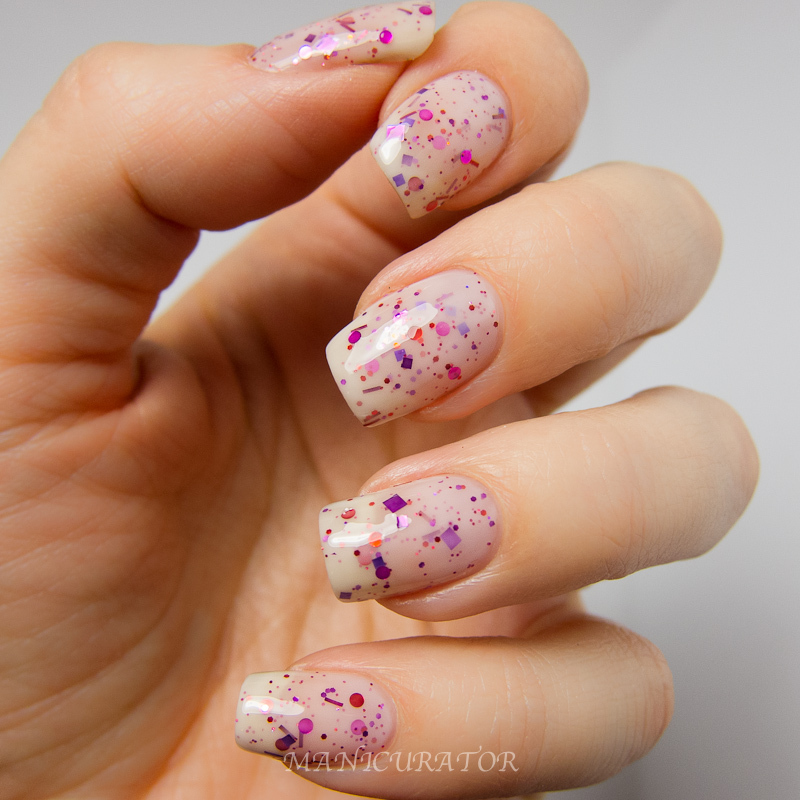 This nail polish is made up of a yellow jelly base with a delicate sprinkling of multi-sized pink and white satin glitters and holographic silver butterflies. 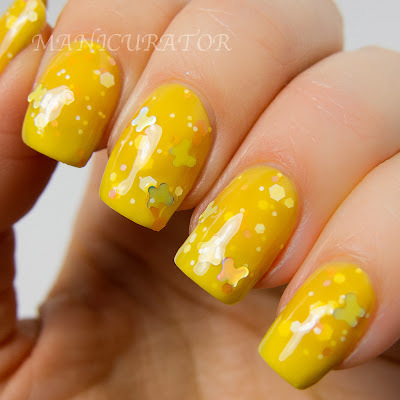 Three even coats of You Give Me Butterflies will achieve opacity. This is the surprise in the bunch for me. I never wanted butterfly glitter. And never expected a bright yellow jelly to be so easy to work with. I am sure I will wear this again. SO full of Spring/Summer feeling. Made me happy wearing it. And the best part? Application was a breeze!!! 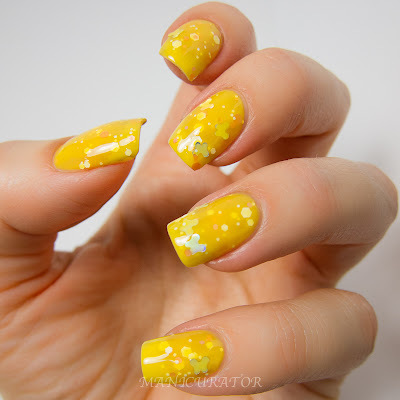 One of the best jelly formulas ever. This is 3 coats. From their description: Some relationships are meant to last forever; when it’s real, you’ll just know. 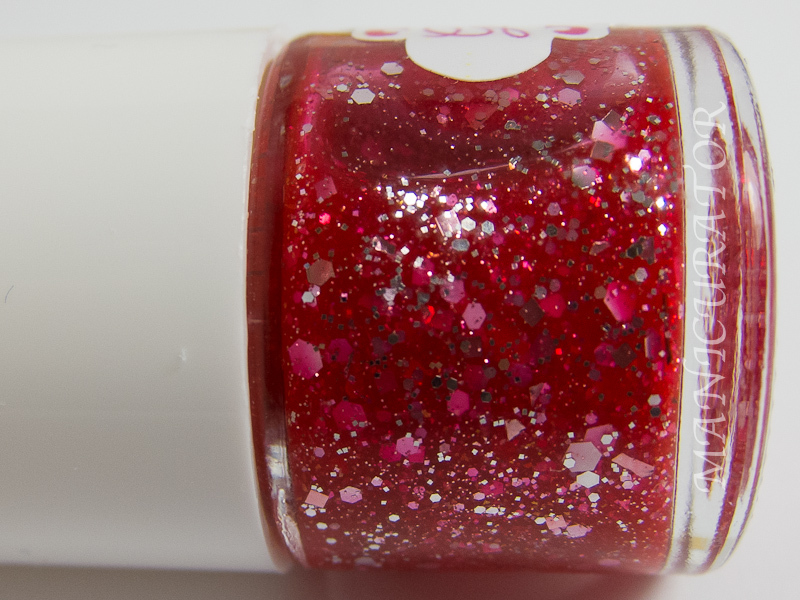 Evermore is a bright, shimmery, red jelly nail polish that expresses a vision of everlasting love between two people. 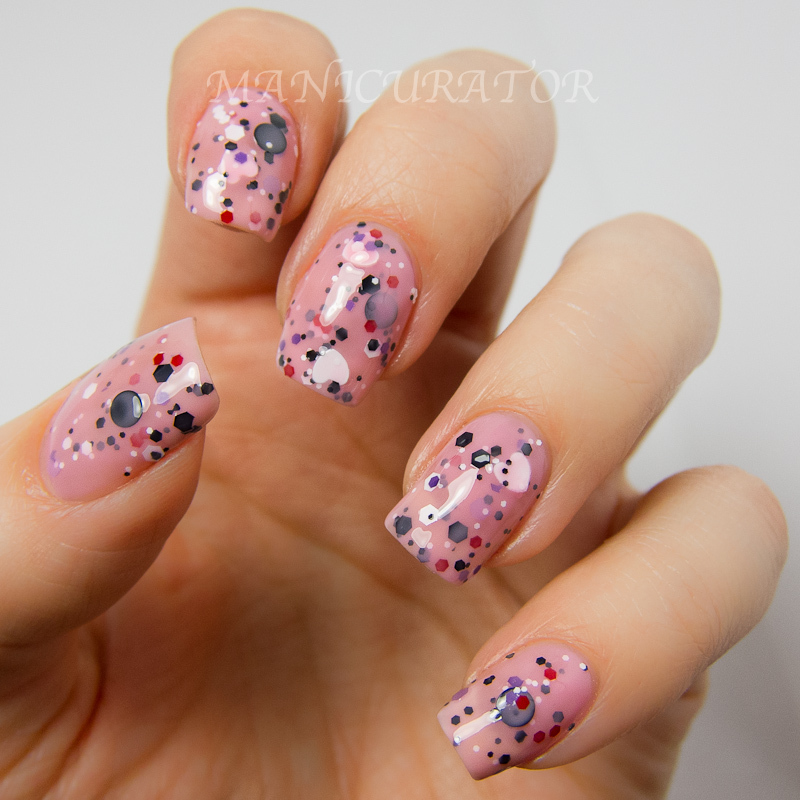 Silver, pink, and white glitters accent this polish and create a classic look with some modern sparkle. 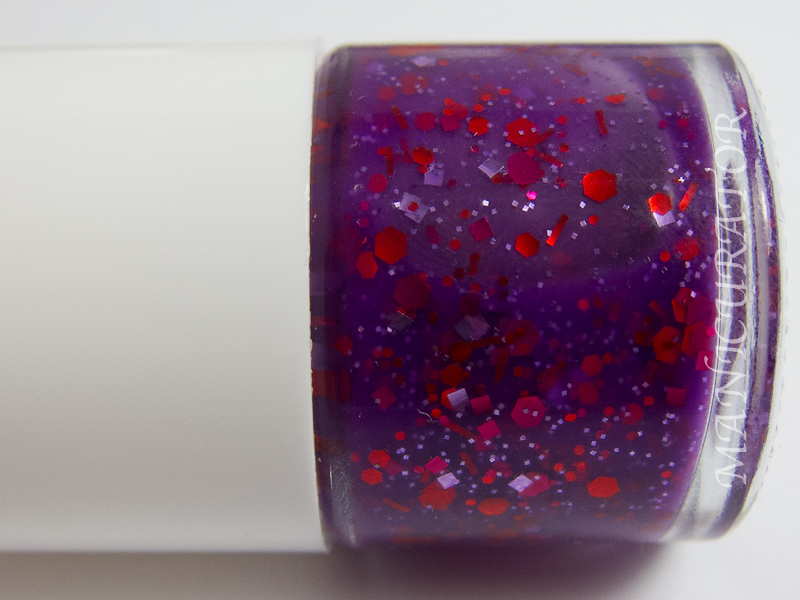 Evermore will be opaque in three even coats. 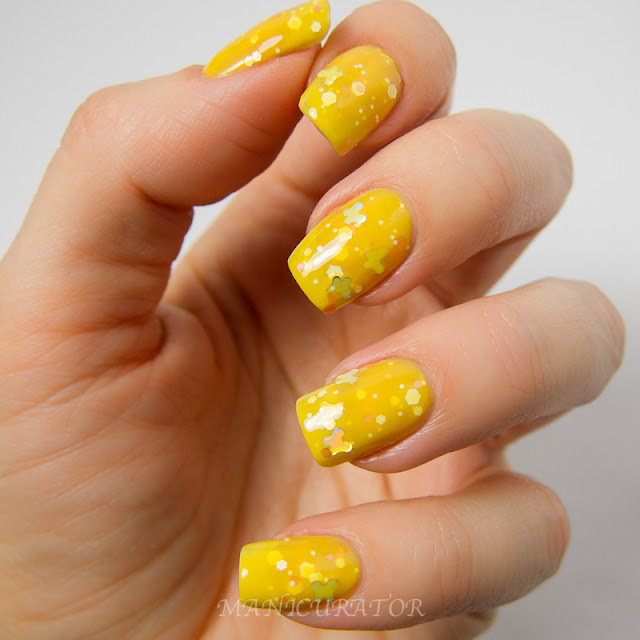 Again, 3 easy coats, great jelly formula. Very feminine and wearable. OK, so this is the only one in the bunch that didn't do well for me. This is 4 coats, and I could still see baldish spots. Also was hoping, after 4 coats and a bunch of fishing, there would be more than 2 pretty hearts on the nail. Even so..you can see that this is very pretty and very wearable. It just wasn't my favorite. Are you still loving the Indie scene? Did you ever? Will you be getting any of these? Heart in her eyes is amazing! Awwwwwwwwwwww <3 the yellow one: )!!! I feel like indie polishes are just random assortments of glitter thrown into a top coat that's been tinted? Am I the only one? 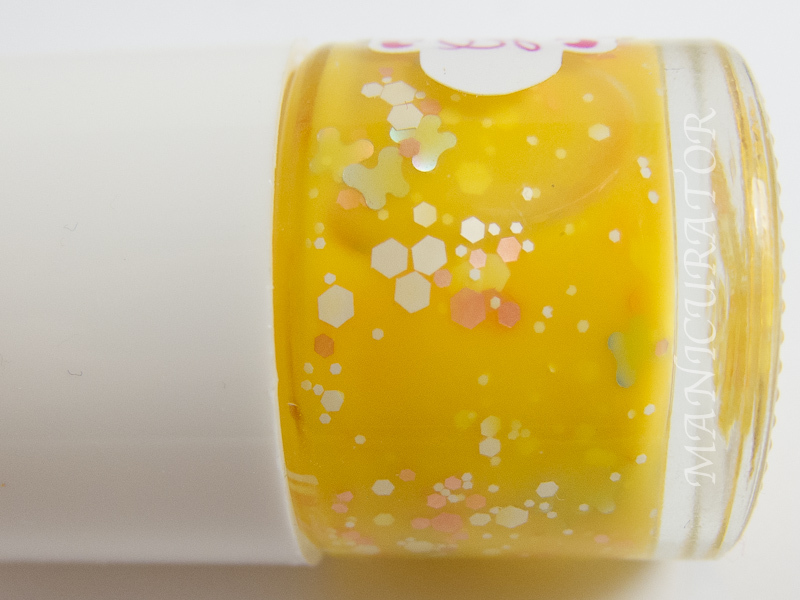 I'd be really surprised if an indie brand did an original creme or different-looking holo or something. Maybe I'm in the minority here - they just all look a little too Michael's Craft Store.